Nuclear Cowboyz: Ticket Information & Giveaway! 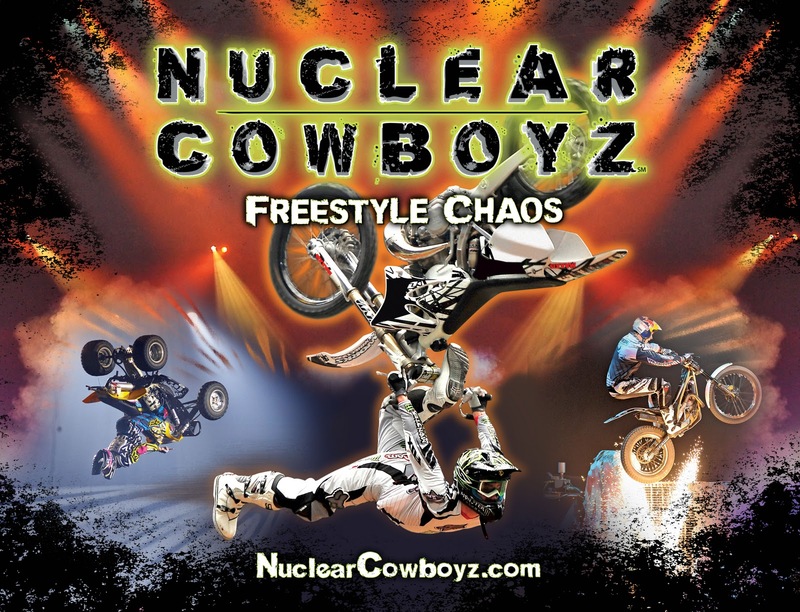 Nuclear Cowboyz are coming to Dallas on January 22 for one performance only! Nuclear Cowboyz, a freestyle motocross show like no other, is a cross between motocross and a rock concert. The show includes some of the world’s top motocross athletes! Right now you can SAVE 50% Nuclear Cowboyz tickets! The discount is good for Plaza Level and Terrace Level Seats, while supplies last! Use code: ZFMX in the “Advance or Promotional Ticket Selection” box, when placing your order. *Service charges, facility and handling fees may apply. Not valid on Platinum Level or VIP Meet & Greet Seats. Cannot be combined with any other offer. Limit 6 per purchase. One lucky The Frugal Mom reader will win a Family 4-pack of tickets! Simply complete the form below by December 31 for your chance to win! my son would love to take a road trip and see this!